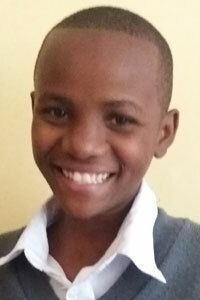 Happynes is in her secondary school education at Mlang’a Secondary School in Form 4. Her favourite subject is chemistry so it is good that her dream is to be a doctor. Happynes’s mother has died and her father has no job. She is living with her grandmother who also cares for her brother and an uncle. This is a very poor family and is one of the families to be selected by ABCD Tanzania for assistance with school fees.